i just created a new account and a new form. I want to copied the Iweb code from your website in pasted it into my HTML source code from Iweb but it doesn't work. It keeps showing my old html code that i had made myself. It is strange because the new JotForm code is pasted into my html page. 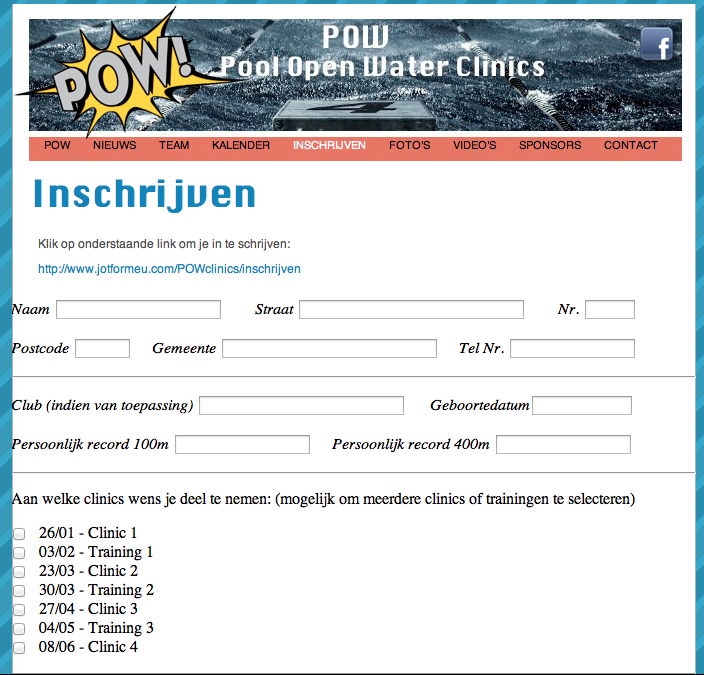 I checked the page using the link on URL provided http://www.powclinics.be/ -- I see a link to the form instead. It was not embedded. Please review the guide and apply it. Inform us if the issue persist after embedding the form.